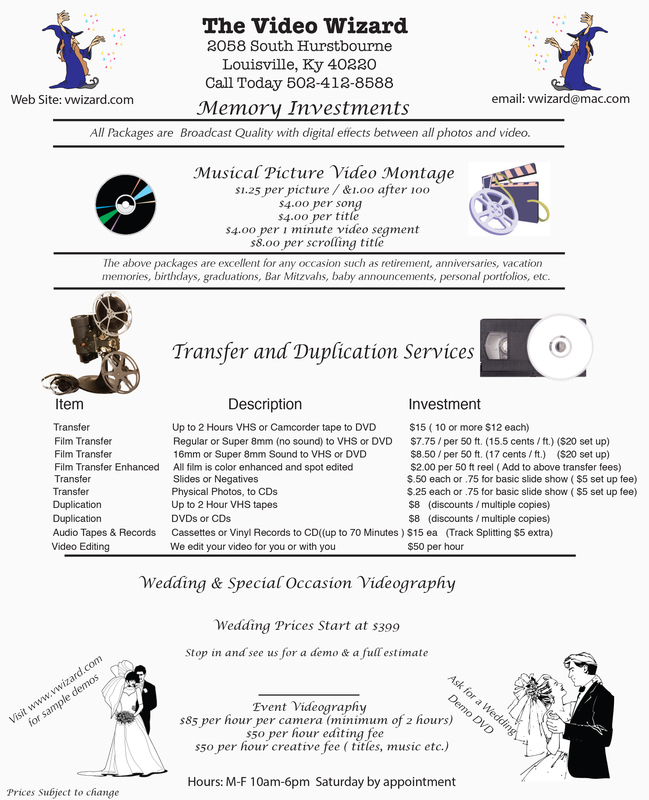 How do I book an Wedding Videographer appointment? Call anytime at (502) 412-8588. Can I get a Video Services investment list? We are usually here from 10am to 6pm most weekdays, however, we sometimes are out shooting video. A call before a visit is always wise. Do my 8mm film transfers or video transfers ever leave your office? No, your tapes and film are always in our position. Unlike the other guys, we do not ship your precious memories out of state.